Topcoat Asphalt has been a leading manufacturer and supplier of asphalt products in South Australia since 1990. The family-run company established its first asphalt plant in Wingfield in 1990, where it has continued to evolve over the past 25 years. The story of Topcoat’s modest beginnings and eventual growth to become one of South Australia’s top asphalt suppliers is shown through the development of its flagship facility. Andrew Young, Topcoat Asphalt’s General Manager, says that since the company started operating on the Wingfield site the plant and its equipment have continually been adapted to suit the needs of the local market and match the growth of the business. “The first plant – a 60-tonne per hour continuous feed drum plant – came out of the United States and ran for about 10 years. Then we built the new plant,” he says. By 2001, the company had seen enough market growth to justify replacing its original continuous feed plant. In September that year, Topcoat commissioned construction of an advanced, 120-tonne per hour, state-of-the-art batch plant. The new batch plant was constructed in Topcoat’s workshop at Wingfield under the direction of company founder and Managing Director Fabri Cicconi. In addition to the new plant, the company commissioned a material testing laboratory to be fitted out at the Wingfield premises in August 2002. Mr. Young explains that the benefits of using a batching system at the time were that the plant had more versatility to produce a wider range of products. As the business continued to grow, so did market demand for Topcoat’s services. “We found that higher volumes of products were needed to meet market demands and the solution was to add a continuous feed system,” he explains. Topcoat sought and found the right continuous feed technology to complement its existing batch plant capabilities. In 2013 the company commissioned a 250-tonne per hour Aesco Madsen drum plant which, combined with the site’s batching capabilities, enabled Topcoat to provide continuous feed production. This opened up the site’s product and material range even further, enabling the production of warm mix asphalt and high percentage reclaimed asphalt pavement (RAP). “What we ended up with was a new, continuous feed and batch plant. I guess we’re now on our third variation of the plant,” he says. Mr. Young says with each addition to and evolution of the site, the plant and its technical capabilities signals Topcoat’s growth in the South Australian market. It has been the company’s commitment to excellence that has helped bolster its leadership in the industry. “To maintain our share of the market, we’ve had to grow and develop our flexibility as well as product capacity,” he says. In his 15 years with the business, Mr. Young says out of the extensive transformations to the site, one stands out as giving Topcoat the edge in the South Australian market. “The biggest addition would probably be the Aesco Madsen plant. It gives us the capacity to produce the quality material and the full suite of products,” he says. The addition of the Aesco Madsen components and the technical expertise of the crew enable the Wingfield site to produce a variety of different mix types on any given day. These include hot mix, warm mix and cold mix asphalts, dense grades, stone mastic asphalts and open grades. The inclusion of RAP into Topcoat’s mix designs has also seen a significant shift in the type of product and material the site produces. “RAP has been the most significant environmental change we’ve seen. We now include up to 40 per cent RAP in all of our design processes,” he adds. Along with the evolution of the plant’s capabilities, the physical Wingfield plot grew too. “The site itself has expanded. What we started on was a fraction of the size of the site we have now,” says Mr. Young. He explains that over the past 25 years the company has slowly acquired the land surrounding the original site as the plant developed to keep up consumer demand and the growth of the market. Today, the site comprises of approximately 30,000 square metres, which includes two 130-tonne, insulated and oil-heated silos for asphalt storage. The site also contains offices, workshops for fabrication and mechanical services, the material testing laboratory, extensive virgin material storage facilities, equipment parking and unprocessed RAP stockpiles. A crushing and screening facility for processing RAP is also on site, which is an addition Mr. Young asserts that not many other plants in South Australia will have. With every new expansion on site, Topcoat’s customer base has grown. “When we commenced operations in 1990, we were servicing small to medium sized projects. This has extended to larger projects as our clients have grown and expanded, and we have grown with them,” says Mr. Young. Topcoat supplies to metropolitan Adelaide and rural South Australia, Kangaroo Island and Broken Hill in New South Wales. It caters to other regional centres using its 50-tonne per hour mobile asphalt plant, in a B-Double configuration, operating out of Alice Springs. “We are a family-built and operated business, and we’ve got some pretty significant competition out there,” he says. Mr. Young adds that being a family-run company does give them that personal touch, which will aid them as they look towards future growth and partnerships within the South Australian and wider national markets. 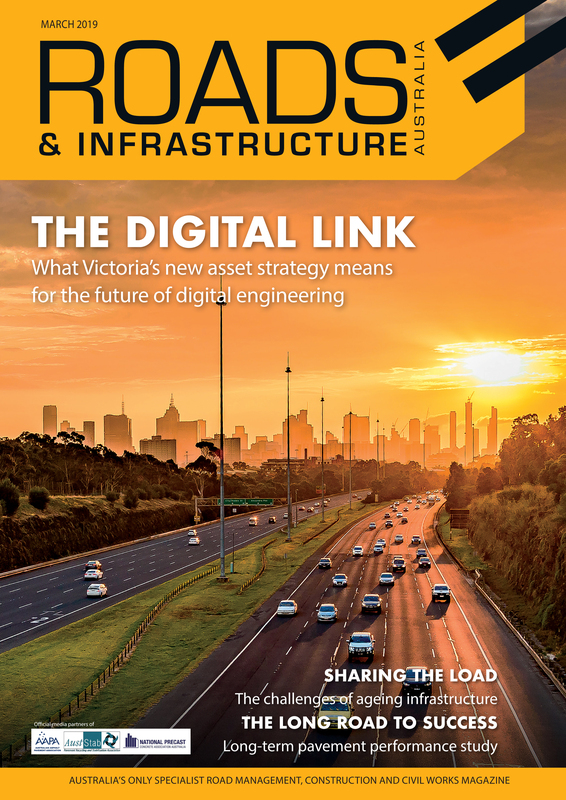 This story has appeared in the Roads & Civil Works February/March 2016 edition – get your copy here today!